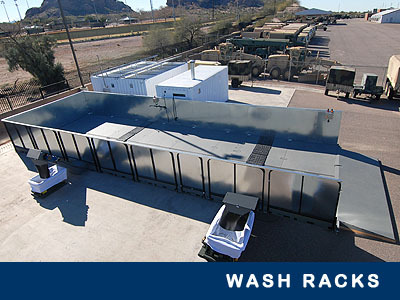 EST provides a wide variety of wash rack systems. We can repair or upgrade your existing system or provide you with an innovative new solution. EST supplies military and industrial grade pressure cleaning systems for the most rugged of environments. 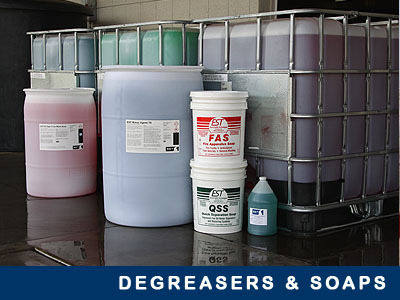 EST chemicals and degreasers are designed for aircraft, military, commercial, car wash, industrial and mining applications. 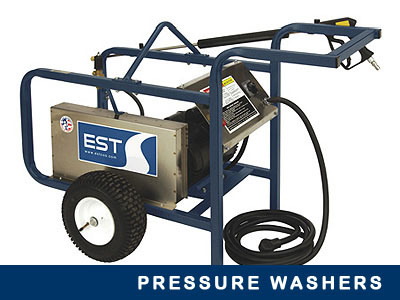 EST service technicians are trained to service and repair ANY BRAND pressure washer, wash rack, wash pad, water filtration equipment or oil water separator. 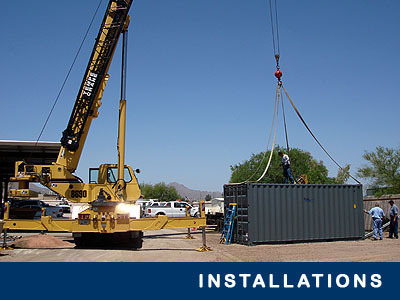 EST performs onsite equipment installation around the world for its products, supervising projects from start to finish. Description of work: Design, install, commission and train personnel on automatic Clear Water Rinse System (CWRS) for F-22 to B-52 Aircrafts. 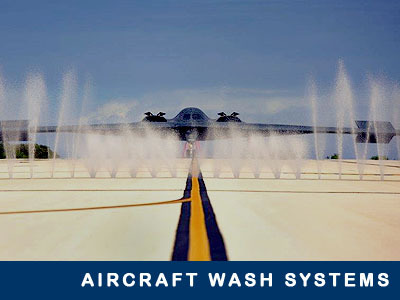 System meets USAF rinse standards: 100% automated and built into below grade vault near taxiway, & includes high flow under carriage rinse system, 8x high flow automatic water monitors, 2600 GPM total flow, 400GPM water filtration system and weather monitor station. System automatically filters rinse water and monitors holding tank water quality. Rinse system is controlled via touch screen allowing the tower to select the type of aircraft being rinsed. CWRS automatically adjusts flows, pressure and spray pattern based on aircraft type. Additionally the system automatically adjusts for wind. EST is the world leader in aircraft wash systems.